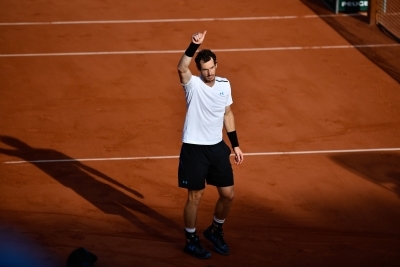 Scot tennis star Andy Murray confirmed on Wednesday that he will not compete in the Beijing and Shanghai tournaments in October and will probably miss the rest of this season because of his recurring hip injury. Murray, 30, withdrew from the US Open two days before its start and has not played since last July at Wimbledon, where he was eliminated by United States Sam Querrey in the quarter-finals, reports Efe. “This is the best decision for my long-term future… I’m confident after this extended period of rest and rehabilitation that I will be able to reach my best level again and be competing for Grand Slam titles next season,” the world No.2 said on his Instagram account. “I will be beginning my 2018 season in Brisbane in preparation for the Australian Open and I’m looking forward to playing in Glasgow later this year against Roger (Federer) for Unicef UK and Sunny-sid3up,” he added. Murray finished last year as world No. 1 after winning the titles of Vienna Open, Paris Master and ATP World Tour Finals in the United Kingdom, but was replaced by Spain’s Rafael Nadal in August this year.